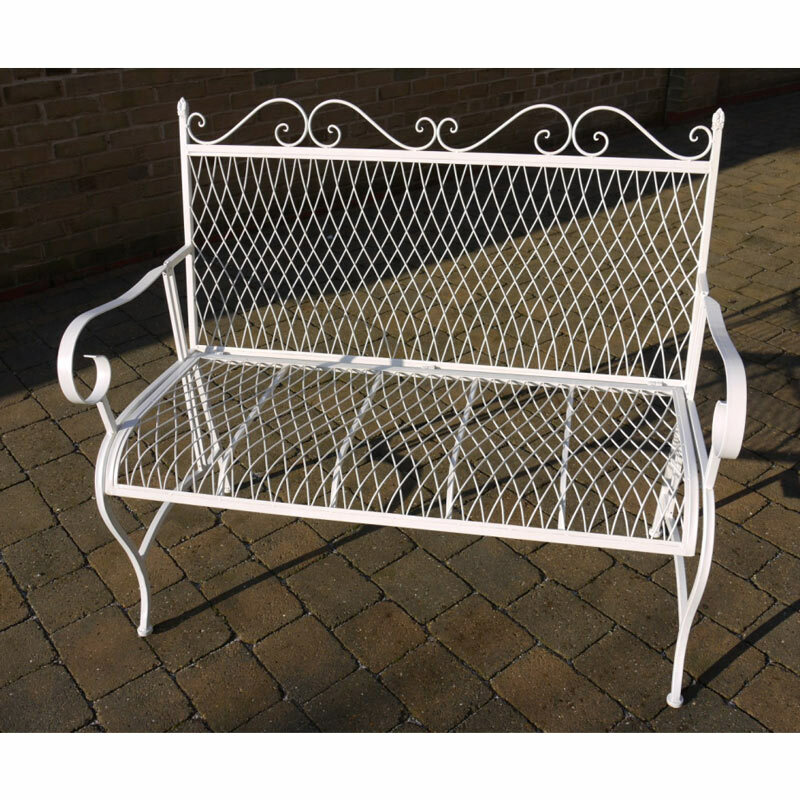 Pretty white garden bench for outdoor relaxation. Vintage style, ideal for setting out in the garden or on the patio or terrace. Enjoy the summer sat outside in the garden and relax in style. With plenty more benches to choose from. Make your garden beautiful this summer with our selection of garden furniture and outdoor dining sets.